The Rock Solid VESA Adapter Plate 200x200 is designed for monitors with VESA configurations larger than the common 75x75mm or 100x100mm. By attaching a Rock Solid VESA Monitor Mount directly to this plate, it allows you to mount your monitor to stands, grip gear and tripods. The Rock Solid VESA Studio Monitor Mount for Stands enhances photographers and videographers capabilities by providing a streamlined way to mount large monitors and iMacs (adapter required) to studio stands utilizing the standard 5/8″(16mm) Baby Junior pin found on common studio support equipment allowing for easy integration into any set-up. The VESA Studio Monitor Mount’s easy and portable set-up is engineered for in-studio or location tethered image or video display as well as educational forums, tradeshow visual displays and weddings/events where video and slideshow playback is needed. 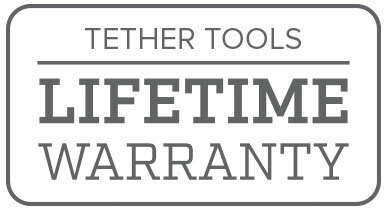 Ideal for still photography, LiveView or HD video/slideshow playback. The VESA Studio Monitor Mount mounts directly on any 5/8″ (16mm) Baby Junior pin so it’s easy to use with any existing roller stand, C-stand, arm or clamp. 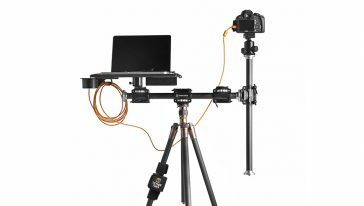 Use a roller stand to reposition monitors as shooting angles and conditions change. 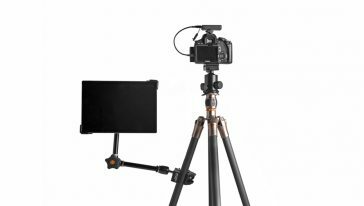 The VESA Studio Monitor Mount features dual 5/8″ mounting receptors for easy rotation of the monitor from landscape to portrait depending on current needs. The top of the VESA Studio Monitor Mount also features two accessory mount receptors. Both 5/8” stud receptors have openings on the bottom to fit most all 5/8″ Baby and Junior Stud arms and accessories. 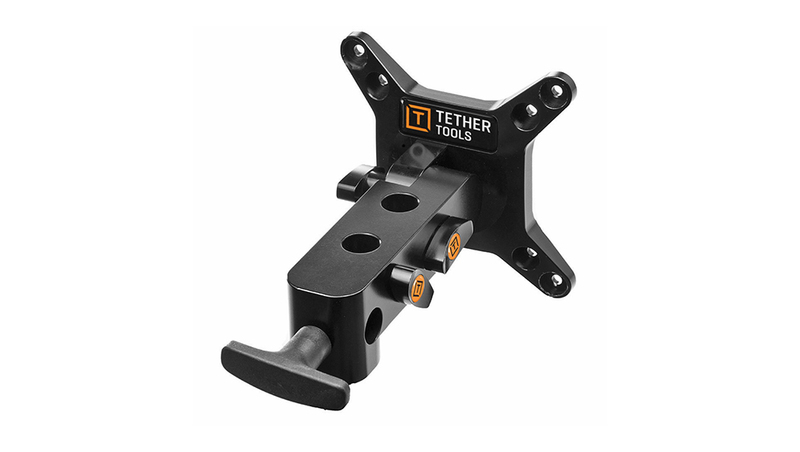 Use these receptors to mount lights, cameras and other gear, using Tether Tools Master Articulating Arm or Master Flex Arm. 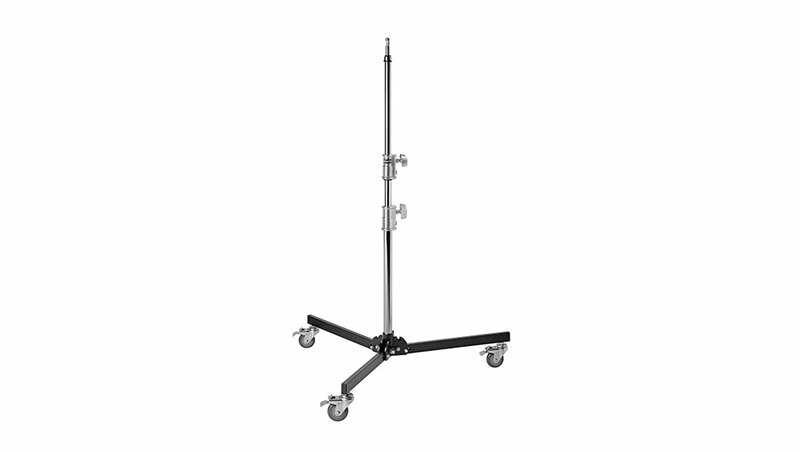 Can accept two 5/8″ accessory arms or mounts. *If you would like to use the Studio Vu Monitor Mount with an Apple iMac or Cinema Display, you’ll need the VESA Mount Adapter from Apple.com.